Here’s an early Christmas gift to all fanatics of the LizQuen loveteam as well as to all hopeless romantics out there, trying to prove that indeed, there’s such thing as ‘forever’. For the second time around, the lead stars of one of 2015’s most successful and well-loved teleseryes “Forevermore”, Liza Soberano and Enrique Gil, will once again prove their undeniable #kiligmuch chemistry as they star in this very much awaited romantic-comedy flick of the year. 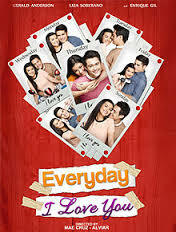 Directed by Mae Czarina Cruz-Alviar, “Everyday I Love You” is all about the story of Audrey (Liza Soberano) who faces a torn-between-two-lovers situation when she meets and begins working closely with Ethan (Enrique Gil) while her boyfriend Tristan (Gerald Anderson) is in a coma. 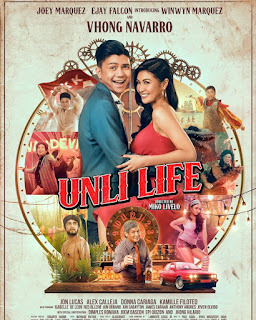 This love story is also blended with family drama and life-goal inspirational elements that many Filipinos can easily relate to and draw life lessons from. The plot may be plain and quite common, but what makes the movie enticing enough is its each scene perfected by the actors’ exceptional acting performances as well as by the behind-the-scene people’s unparalleled artistry, headed by Executive Producers, Ms. Charo Santos-Concio and Malou Santos. Most of the movie’s scenes were filmed at Bonifacio Global City (BGC) in Taguig City. There were also several significant scenes shot at “The Ruins” and other parts of Bacolod City. Additionally, a few clips of the movie were filmed in Pila, Laguna. Joining the “Forevermore” superstars is a long list of the country’s prominent actors and actresses, including Ariel Rivera, Aiko Melendez, Carmina Villaroel, Marissa Delgado, Liza Lorena, Carla Martinez, Eva Darren, Nina Dolino, Paul Salas, Joj Agpangan, Yana Asistio, Andrea Brillantes, and Fred Payawan. The movie is produced and distributed by Star Cinema and will be shown in theaters nationwide on October 28, 2015. There will also be international screenings from November 6 to 21, 2015.